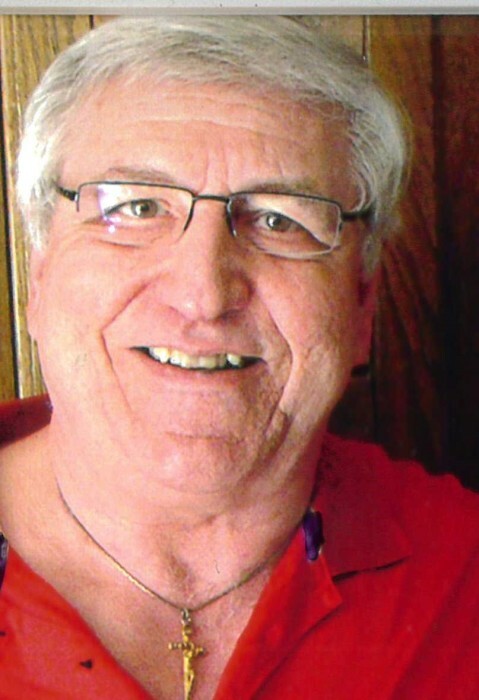 Steven Lawrence Kolakowski died suddenly at home on Sunday, November 18, 2018. Steven was born in Milwaukee on January 15, 1955, to Bennon and Dolores Huber Kolakowski. Steven graduated from Boys Tech of Milwaukee in 1972. He got a degree in Police Science from WCTC and several years later a degree in Copier Repair from WCTC. Steven married the former Sandy Rowe on June 28, 1985, at St. Joseph's Catholic Church in Rio. They were blessed with a son, Samuel Thomas. Steven, Sandy, and Sam lived in Oconomowoc for 10 years before moving to Rio in 1991. Steven worked for Allen Bradley for 15 years. Over the next 20 years, Steven had several jobs including Rhyme Business, Gordon Flesch and Walmart Distribution Center. Whatever job Steven had, he always gave 110% of himself, always had a smile and a kind word. Steven was a 30-year member of the Knights of Columbus and a 4th Degree Honor Guard. He was so proud of the fact that both his father Bennon and his son Sam were also members of the Knights of Columbus. Children and animals always gravitated toward Steven. They could sense his kind loving and gentle ways better than anyone. Next to God and family, Stevens’ love was the Green Bay Packers. He was very proud to be a stockholder of the Pack and Gold season ticket holder. One of his favorite things to do was to go to the game with his best friend/son Sam, sitting in the Packer end zone. For those who knew Steven, he was a kind, giving, loving man who always had a smile for you. His strong faith in God got him through some tough times, but always with unwavering surrender to God. He is survived by his loving wife of 33 years, Sandy; best friend and son Samuel; mother Dolores Kolakowski; brother Brian Kolakowski; mother-in-law Beverly Evenson; brother-in-law Terry (Pat) Rowe; sister-in-laws Laurie (Chuck) Zach, Kathy (Marc) Bernader, Judy (Jerry) Sandberg and Joanne Evans; and many nieces, nephews, and great-nieces and nephews, all of whom he loved. He was preceded in death by his father Bennon Kolakowski; father-in-law Francis Rowe; brother-in-law Thomas Rowe; and step father-in-law Walter Evenson. Memorial services will be held Wednesday, November 21 at 10:30 AM at Grasse Funeral Home, 401 Angel Way, Rio with Father Balaraju Eturi and Father Raymond Dischler co-presiding. Visitation will be held Tuesday, November 20 from 5 to 8 PM at Grasse Funeral Home and again from 9:30 AM until the time of services Wednesday. In one brief moment, our lives were changed by losing Steven, we are so blessed to have shared a life with such an incredible man. The family would like to thank the Rio Fire and EMS Department for their care of Steven.